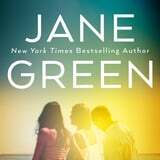 Jane Green has been published in over 25 languages, and there are over 10 million copies of her books in print. Is it any wonder she's frequently referred to as the Queen of the Summer Novel? Green consistently delivers page-turners that are smart and thoughtful, and this year this no exception. With The Friends We Keep, Green gives us the story of three friends who meet in college. They grow up together, and then grow apart. With their 30-year reunion approaching, can they come back together? Or will the secrets they've kept finally catch up with them? The Friends We Keep will be out on June 4, 2019, but you don't have to wait until then, because we've got a sneak peek at the first chapter right now! Once upon a time she might have had a mother and a father just like all the ones around her now, who have driven their kids to universities, helping them decorate their rooms with colorful duvets and posters, running out to the hardware store for more picture hooks, or rods for curtains, or a kettle so they could make tea in their rooms. Evvie no longer spoke to her father. Not since he hit her mother, knocking out two of her teeth. Two days later they were on a plane, heading to London, to her grandmother's tiny terraced house in Stockwell. It was a far cry from their old life in Brooklyn, but her mother had had enough. She went back to the bosom of her family to get her teeth and her life fixed, and she retained a divorce attorney who handled everything from overseas. Her mother would have come with her today-her only daughter at an English university! The daughter of a Jamaican immigrant who managed, by sheer force of will and hard work, to provide her family with a life she could only have dreamed of as a child. It was a long way from the streets of Kingston, but she did it! She married the son of a wealthy white banking family, unaware they would be cut off financially once he married someone so unsuitable. But the name alone had opened doors, allowed her to give her daughter a life of privilege and opportunity. Evvie knew her mother wasn't receiving the child support and alimony she was supposed to. She had tried to call her father herself, but those conversations never went well. Evvie knew her father was cold, but when she'd said, on their last call, that she wouldn't speak to him again, he honestly didn't seem to care. Even Evvie hadn't thought he was that cold. They struggled for a while, but now Evvie's mom had a job at a large advertising agency. Two days off to get her daughter settled in to her university would be too much. Evvie didn't mind, she'd heard her mother telling someone, and the truth was she hadn't minded; she was so excited about going off to school that she hadn't even thought about arriving alone. She hadn't minded until she saw everyone else had their parents with them. The taxi driver left, and Evvie was alone on the pavement, aware that people were eyeing her up and down, and worse, eyeing her trunk up and down. Oh God. She shouldn't have brought it. Who brings a giant Louis Vuitton trunk to college? But it was the only one she had that was big enough for all her stuff, and she honestly didn't give it a second thought. Until now. She had been feeling so good this morning when she left her house. She'd been planning her outfit for weeks-the perfect baggy jeans, lace-up boots, and men's shirt. She'd gone to her mom's friend, a woman who had a hair salon in the front room of her house, who gave her a fantastic weave. A mass of tight curls cascaded down her back, leaving Evvie feeling beautiful for the first time in months. The weight loss helped. Her mom had put her on her first diet when she was seven, leading up to the auditions for the new TV show The Perfect Family. Evvie had been cute and chubby, and her mother, who knew someone in the entertainment business, knew they were looking for someone slight. She put Evvie on a diet of grapes, yogurt, and a tiny bit of steak. Despite being permanently starving, Evvie lost the weight, got the part, and spent the last eleven years on the show, alienated from her regular school friends by her stardom, and isolated, too, by her weight, which yo-yoed up and down. The problem was particularly pronounced during her teenage years. She would gain weight and feel awful about herself, isolating herself at home, watching television and eating; then, as if a switch was flicked, she would wake up one day determined to lose it, knowing that the latest diet would be the key. Sure enough, the weight would drop off, and she would start going out to parties again with friends, making out with boys and feeling like she ruled the world. Last month, having isolated herself in her grandmother's house, she read about the Cambridge diet in one of her mother's weekly magazines. Within the hour she had ordered it, and she had spent the past four weeks drinking shakes, smoothies, and soups, with a few meal replacement bars. She had been feeling hungry, but skinny, loving seeing her hip bones emerge, loving that her 501s, once skintight with a muffin roll of fat above the waistline, now hung on her, baggy, slipping down to her hips so often she had to run to Brixton Market to buy a belt. She had been so excited, had been feeling so great as skinny Evvie emerged, anticipating arriving at West Country University, whereupon she would meet George Michael, who just happened to be filming his new video in Somerset, and he would stop her and tell her she was the most gorgeous woman he had ever seen, and not only would he give her the starring role in his new video, but they would fall in love and live happily ever after. She had spent so many hours lying in bed working out the precise details of this fantasy, all of which involved meeting George as soon as she arrived, that she found herself scanning the street, surprised not to see him around the corner. Instead, two small blond girls walked past, their mouths falling open at the trunk, both of them staring at Evvie, sizing her up as she stood there, nervous for the first time, clutching a piece of paper in her hand, trying to figure out if this was the hall of residence, and where the entrance was. She was aware of the girls staring at her, and it wasn't staring in a good way. She felt awkward, wishing that she, too, had a friend, or family, or someone with her to help her brave her first day. She felt overwhelmed suddenly at leaving the relative safety of her grandmother's home, by starting again, yet again, somewhere so unfamiliar and new. She was about to turn her back on the girls when she decided to try something else. "Excuse me," she said to the blondes, holding out the piece of paper with a bright smile. "Am I in the right place and do you know how to get in?" One girl looked at the paper, while the other continued staring at Evvie as recognition slowly dawned on her. "Oh my God," she said. "You're American? Hang on, I know you, don't I? Aren't you an actress?" Evvie blushed ever so slightly. "I did a little bit of acting when I was a kid." The other girl looked up, an intrigued smile on her face. "No! Are you one of those cute kids in The Cosby Show?" Evvie shook her head. "I always get that. I was in the other show. The Perfect Family? I don't know if it even made it to the UK." She was lying when she said that, attempting to play it down, because she knew perfectly well it aired in the UK. Her grandmother used to phone her after every episode to make sure she wouldn't be as naughty in real life as she was on the show. "I loved that show!" said the first blond girl, peering at her closely. "You were Yolanda, right? Oh my God! What are you doing here?" "My mom's from London," explained Evvie. "Actually, she's from Jamaica, but they came to London when she was a little girl. She moved to the United States when she met my dad, but they got divorced last year and she moved back here. With me. And now I'm a freshman here." Evvie shrugged, wishing she had shut up. She always said too much when she was nervous. "We have someone famous at our university!" said one. "Do you need help with that trunk?" "I would love that," Evvie said as the girls looked over at the crowds of people on the street, many still unloading cars. Other students strolled by on the other side of the road, curious about this year's new students, the boys scanning them for fresh meat. "Dan!" shouted one of the girls. "Rupert! Get over here and help get this trunk inside. This is Yolanda! From The Perfect Family!" "I'm not Yolanda," Evvie corrected them, embarrassed. "I'm Evvie. And thank you so much." From The Friends We Keep published by arrangement with Berkley, an imprint of Penguin Random House LLC. Copyright © 2019 by Jane Green.